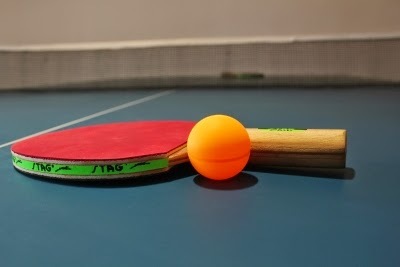 Table Tennis Bug: Chinmay bags a triple crown.. again! Lightning kid Chinmay Datar again bagged a triple crown at the Le Meridien Pune District Ranking tournament at Deccan Gymkhana, Pune conducted under the aegis of PDTTA. The tournament concluded this weekend. Chinmay beat Aniket Gulwani, Neel Joshi and Shubhankar Ranade in the Men's, Youth, and Junior groups. Incidentally, Chinmay Datar had bagged 16 titles last year including 3 triple crowns last year. He also participated in two National junior tournaments and upset an International Junior player.